Succulents are becoming increasingly popular in gardens for their bold forms and hardy nature, but some people also savor them for their flavor. Here are a few edible succulents which, despite the intimidating appearance of some, make great candidates for edible landscapes. The spiny prickly pear cactus has long enjoyed the status of a survival food in semi-arid areas around the world, but these succulents are natives of the Americas. The oval-shaped, juicy fruit of this cactus is known by several names, including Barbary fig, Indian fig, and cactus pear. The fruit, called tunas in Mexico, is eaten raw after peeling off the skin and running the inner portion through a food mill to separate the seeds. The sweet pulp can also be made into jams and jellies. Although the fruit is the best-known edible part, the pads, known as nopales in Mexico, are eaten raw in salads or cooked as a vegetable after removing the offending spines. The flat, leaf-like pads are not real leaves; they're modified stems and branches botanically known as cladodes. The tiny, hair-like glochids found at the base of the spines are actually more troublesome than the spines themselves, and even the fruit has them. After carefully removing the glochids by burning them with a propane torch or by thoroughly washing the pads several times, the pads are ready to be used in a number of recipes. They can be cut into strips and pickled, boiled, stir-fried, grilled, or made into a delicious salsa. Prickly pear is well suited for USDA growing zones 4 through 11 and is quite easy to grow. These succulents prefer well-drained soil, and they will survive on rainwater alone after they are established. Be sure to use gloves when planting them and choose a spot that has enough space for the mature size of the species you intend to grow. Also called pitaya or strawberry pear, this colorful fruit comes from the night-blooming Hylocereus cactus. 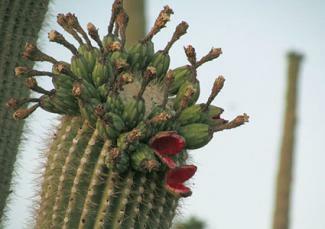 The fruit of most species of the Hylocereus are edible, but the commercially cultivated one is Hylocereus undatus. Originating from Central America, this epiphytic cactus with a sprawling habit grows naturally in hilly areas and climbing on rocks and trees. In cultivation, these plants are trained on supports and grown as standards. 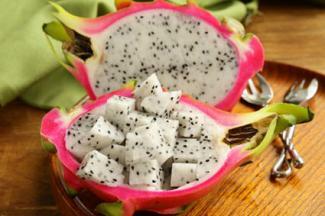 Enclosed in a thick, strawberry-colored skin, the white, edible pulp of the fruit contains tiny black seeds. Some varieties have bright pink/red pulp, and some have yellow skin. Preparing the fruit is fairly easy. The mildly sweet pulp can be eaten raw, seeds and all, or it can be processed into smoothies. If you live in USDA plant hardiness zone 10 or 11, you can easily grow dragon fruit. The plant will also survive in zone 9 with winter protection, or you can enjoy it in a greenhouse. 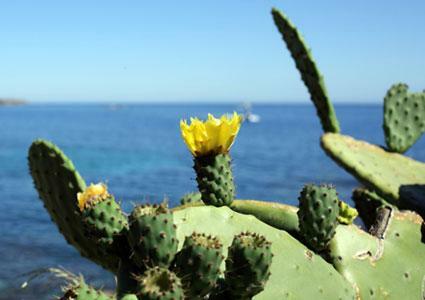 Although this cactus loves warm weather, it does best in temperatures between 65 and 77 degrees Fahrenheit. Anything over 100 degrees may cause damage. This plant thrives in rich soil that is mildly acidic and requires about 30 percent light shade during the first four months after planting. Don't forget to provide support for your dragon fruit plant along with irrigation twice per week during the growing season. Aloe vera, with its long fleshy leaves and spiny margins, is better known for its medicinal properties and cosmetic use. The gel-like inner portion of the leaves is used to treat eczema and dry skin because of its skin softening and hydrating properties. It is also anti-inflammatory and accelerates the healing of wounds. To use it as a home remedy for mild burns, all you need to do is break off a leaf and rub it on the affected area to reduce pain and prevent scarring. You can also crush it into a paste and apply it a few times a day until the skin heals completely. There are over 200 species of Aloe, but the yellow-flowered Aloe barbadensis is considered the safest choice for consumption as well as home remedies, although the latex from a few more species has been used as a laxative from time immemorial. 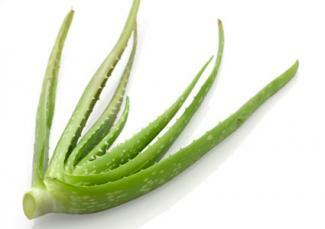 The meaty portion of the Aloe barbadensis leaf is edible either raw or cooked. The tough outer skin is bitter and contains a sticky substance. The skin should be removed with a knife and the inner portion cut into pieces and rinsed in water to remove traces of the latex before adding it to salads. But if you want to retain the laxative effect, small sections of the whole leaf can be added to smoothies. Aloe vera plants do best in USDA growing zone 9 through 11 and are often grown inside where they will do well as long as conditions are similar to these zones. Many people choose to grow these beautiful and functional plants indoors where they will receive full sun for at least half a day. This lowly succulent with a spreading habit is often considered a weed, but it is a rich source of omega-3 fatty acid and several vitamins and minerals too. The tender leaves and young stems can be eaten raw. Their slightly sour and salty taste adds a nice touch to salads, but they should be used as an occasional treat because of their high oxalic acid content. The yellow flower buds also look great and taste good when tossed into salads. Purslane can also be cooked like spinach; cooking lightens the sourness and removes nearly half the oxalic acid content. 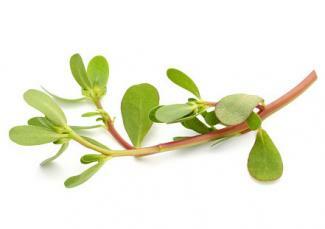 Purslane seeds are also edible, and can be added to seedcakes. This protein-packed plant is very easy to grow from seeds or cuttings. It is not picky about the soil and seems to thrive in relatively dry soil. Keep in mind that purslane needs light to germinate, so it is important not to cover the seeds. If you are propagating from cuttings, simply lay them on the soil surface and water them, and they should root within a few days. Purslane likes part to full sun and does best tin USDA growing zone 4a to 9b. The tall saguaro cactus plants that stand guard to the vast Arizona desert offer home and sustenance to a variety of animals and birds. Their fleshy stems hold large amounts of water that can save a weary and dehydrated traveler, but they are included in this list mainly for their fleshy fruit. The Tohono O'odham Indians of the Sonoran deserts gather the red, juicy fruit from the stem tips of these giants in June and July. The sweet pulp and the black seeds are edible. Since the Saguaro is a protected species, it is illegal to source this plant from the wild. It is possible to obtain one of your own from a nursery, but it would be a long wait to harvest fruit from this slow-growing cactus. To grow one of these large cactus plants, you will need to live in USDA growing zones 8a to 11, and preferably somewhere that is arid, such as southern Arizona. In addition to purchasing a plant from a nursery, it is also possible to cultivate Saguaro from cuttings or seeds. The barrel cactus, with its rotund body and slightly flattened top, lives up to its name. Profusely covered in long, sharp spines, it is one of the most dangerous desert plants, but every part of it is of some use to the indigenous people of the Sonoran desert. This cactus is edible. 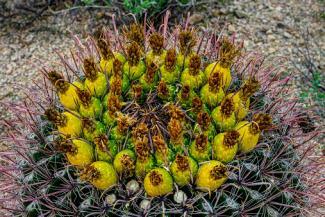 The yellow fruits that adorn the crown of the barrel cactus look like miniature pineapples, but they have a tough texture and sour taste, unlike the sweet fruit of Saguaro and the prickly pear cactus. However, they can be pickled in brine or stewed with sugar after removing the seeds inside. The dried seeds can be eaten after toasting them lightly to enhance flavor, or ground into flour. What makes barrel cactus real sustenance food is the fleshy inner meat that can be sourced after burning off the spines and cutting open the body. The crispy-yet-spongy flesh tastes watery and slightly bitter, but a bit of salt or sugar can be added to make it more palatable. The flesh used to be stewed in sugar syrup to make a chewy barrel cactus candy. This beautiful cactus can be grown in the warm USDA zones of 9 through 11. For best results, plant the cactus in mostly sandy soil and in full sun. This plant can easily be grown from seeds indoors and transplanted once it's large enough. The crisp texture and mild peppery taste of sedum leaves make them a welcome addition to salads, soups and stir fries. The leaves of all the sedum species are edible, and yellow stone crop is one variety that's most commonly eaten. However, eating too much can give you a stomach ache, and those with red-tinted leaves or yellow flowers are mildly toxic, but cooking removes this effect. Sedum acre, also nick named biting stonecrop or yellow wall pepper, can cause gastrointestinal irritation, but it has been used as an ingredient in a home remedy against worms. 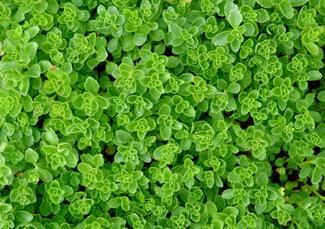 Stonecrop can be grown in USDA plant hardiness zones 3 through 9. Plant seeds in early spring in well-drained soil and full sun. Low-growing types will tolerate some shade. If you don't want to plant seeds you can use divisions. When planting your division, be sure that the root ball is even with the soil surface. There are hundreds of yucca species out there, but only a few are traditionally counted as edible, Yucca batata being one of them. Y. elata and Y. madrensis are also edible species, but none of them are related to the root crop Cassava which is also called yucca in some regions. Banana yucca gets its name of its longish, edible fruit. The fruit is borne on the central flower stalk that rises from a whorl of bluish green leaves. The ripe fruit is fleshy and sweet; it can be eaten raw or roasted or dried for off-season use. The white flowers are also edible, but they have a soapy taste which becomes sweeter as they mature. The thick flower stalk can also be cooked and eaten as a vegetable before it matures. Banana yuccas do best in USDA plant hardiness zones 7 through 11. 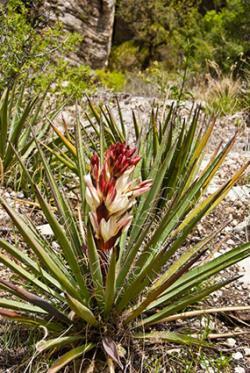 This drought-tolerant plant prefers arid conditions, but it will grow in damp soil if it is well-draining. Once you have learned which of these delicious and beautiful succulent plants are your favorites, you can experiment with them in a variety of dishes. Not only will you increase the nutritional value of your meals, you will also amaze your friends and family with your exotic culinary flare!